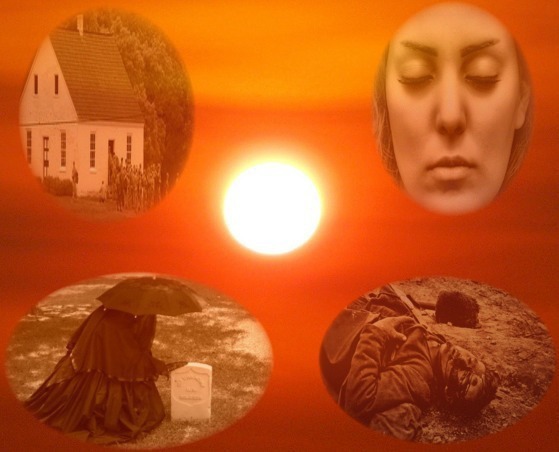 THE FADING SUN (the first book in a three-book series called Sunset’s Hope, which covers the last 47 years of a Civil War widow’s life) has been a long time coming. I first got the idea for the novel a few years ago while I was doing some of my own genealogy research. I didn’t actually start working on the novel itself until much later. And I still have about 7K-8K words that I want to add to flesh out the story with a little more historical detail and maybe a bit more plot/character development. Here’s the synopsis a brief synopsis of this first book, which covers the years 1862 to 1866. Jane’s husband (a blacksmith, not a soldier) is gunned down by Confederate soldiers on their eighth wedding anniversary. She must pick up the pieces and move on, now the sole head of the household and single parent to three young children. But Jane soon faces a problem when she meets, and falls in love with, her husband’s married childhood friend, Cole, who tries to help her take care of the farm until it becomes obvious to Jane that staying in that house is just too dangerous. And Cole discovers that, because of his growing feelings for the young widow, staying around her is getting too dangerous for him. He enlists in the Union Army. Jane moves in with her father and mother and struggles to maintain a civil relationship with them, which becomes even harder when her oldest brother enlists in the Confederate Army. THE FADING SUN is the story of loss, unrequited love, and unstoppable hope, set against the turbulent backdrop of the American Civil War. I had hoped to release this book on August 14th, but it really doesn’t look like that’s going to happen now. For one, as I said, I’m not quite finished writing (or editing) it. And, two, I haven’t quite decided on the cover for it. So, for now, THE FADING SUN is still in limbo. But here’s a sneak peek at how the book opens and sets the main character, Jane Addison, in a tailspin right from the very start. Jane hummed an upbeat Stephen Foster tune as she swept the dirt off the front porch steps for the fifth time that day. The hot August wind whipped the dry red Kentucky clay into a frenzy at her feet. She smiled as she remembered the first time she and Ben had danced to the tune as husband and wife. Eight years ago today. She stopped humming as she glanced over her shoulder. Little Bill squatted down on the floor of her kitchen, banging her good wooden spoon against her cast iron skillet. The plank floor underneath the skillet already showed signs of returning dirt. Jane angled the broom to more carefully sweep dirt out of her house. Noting the position of the fiery August sun in the sky, Jane knew Ben would be home from the smithy soon, and she hadn’t even started frying the nut cakes for their anniversary supper. She turned to go into the house, but a distant sound stopped her short. Horse hooves, coming at a fast clip down the lane. Who would come out here on horseback at this time of day? Jane waited and watched. She recognized the imposing figure on the gray gelding, silver badge gleaming in the sunlight. She gasped, and her broom clattered to the porch. 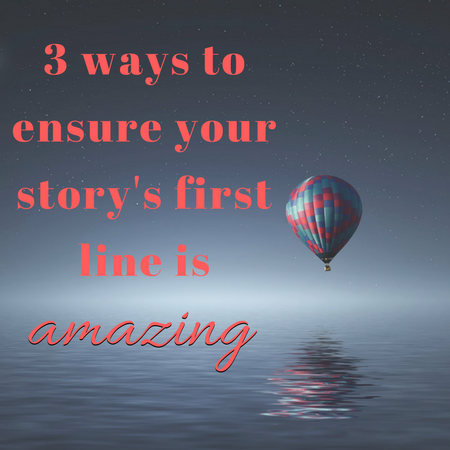 Jane knew she sounded harsh, but at that moment, she didn’t care. Martha and John jumped at the tone of her voice and obeyed without question, merely casting one curious glance in the direction of the big man on horseback before silently scurrying into the house. They didn’t even look up at their agitated mother, who quietly and deliberately closed the maple wood door behind them. Minutes later, Jane faced the sheriff alone. She tried to stifle the dread sitting like a rock in the pit of her stomach. She smiled and straightened to the most hospitable and welcoming posture she could muster. “G…good afternoon, sheriff.” Jane’s voice quavered a little as she forced her gaze to meet the sad eyes of the lawman. The big man dismounted and removed his hat as he approached Jane. “Afternoon, ma’am,” he mumbled. He lowered his head to stare down at his hat, twisting its brim in agitation. Jane blinked and stared at the sheriff for a moment. The world spun around her at an alarming rate. The earth beneath her feet felt dangerous, as if the ground would swallow her up and take her down to meet Lucifer himself. For surely this was the hell her father had preached about all her young life. Not fire and brimstone. No. Something much more frightening…. Disorientation and oblivion. The sheriff hurried to Jane’s side and helped her sit down on the top step. He rushed past her into the house and came out again in a matter of minutes. Through her haze of grief, Jane saw the sheriff run down the porch steps, through the yard, and to the well. He was back at her feet in seconds. When the big gentle man returned, he knelt down in the red dirt and forced the cup into Jane’s hands. She stared at the object in her hand for a moment, unsure of what it was. Then realization dawned, and she took one quick, delicate sip. After the first taste of the cool crisp water, she regained a little of herself and took a second, much bigger, swig. When she’d had all the water she wanted, she put the cup down next to her and met the sheriff’s uncomfortable gaze.